It's been all about the cozy around here. Temperatures as we know have been less than balmy and Shedquarters (my sewing room/summerhouse) has been a little chilly to say the least. So an extra layer (or two) has been a prerequisite recently. 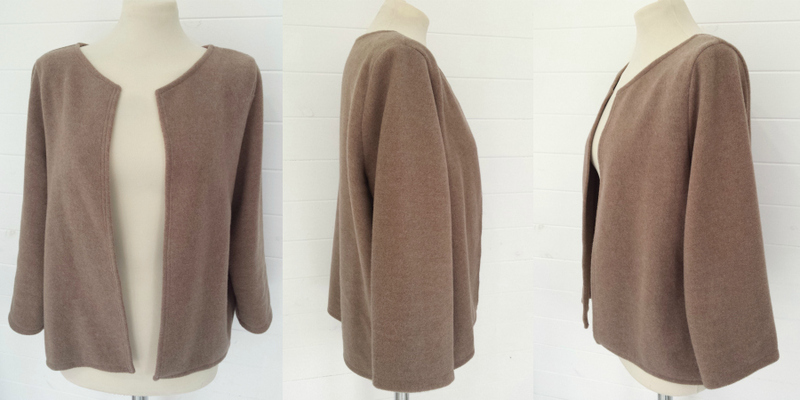 So I turned this oatmeal coloured "blah" fleece! Into a cute little cropped cardi/jacket with simple lines, that sits just on the hip at the front and dips down at the back. Couldn't be simpler really. No raw edge finishing required as the fabric doesn't fray. Just a few cut's and minimal sewing. You can apply this to any similar fleece or sweatshirt. Full step by step on the blog! Fleece! A fleece cardigan will definitely keep you warm during the cooler weather. 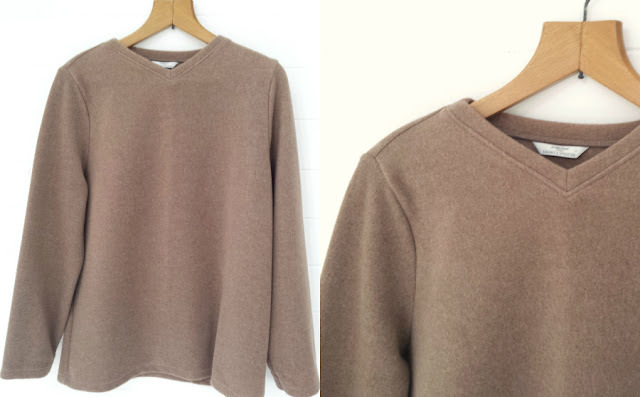 What a simple but great refashion.